When starting a race using a start wand (for instance, an interval start cross country ski race) you can use a Freeze Time Cable and a GoChip activator to record the time the start wand is triggered. 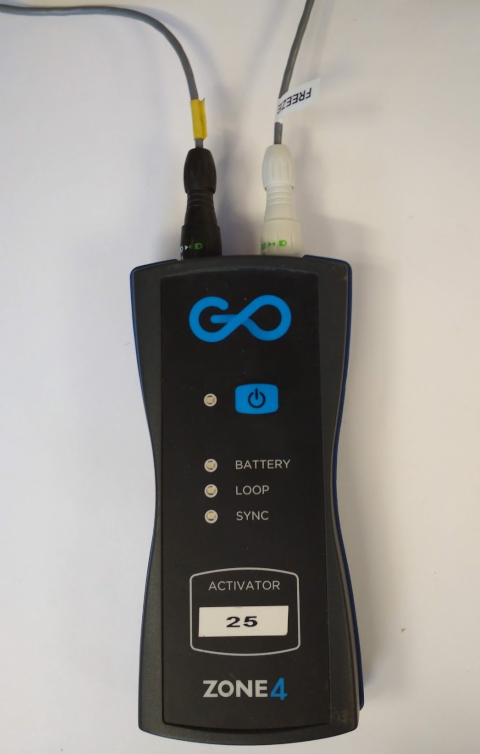 This gives you the precision of the start wand, with all the benefits of GoChip: the start wand time will be associated with a racer number, and if there is no network connection at your start line the GoChip will store the start wand time and transmit it when it comes in range of a connected phone. A GoChip loop is always broadcasting a time. When a chip crosses the timing loop, it records the time that is being broadcast by the loop. In normal operation, this is the time of day. When an impulse is recorded on the freeze time cable, the timing loop starts broadcasting the time of that impulse instead of the time of day. Any chip that crosses the timing loop will record the “frozen” time, instead of the actual time. After ten seconds, the loop returns to broadcasting the actual time of day. Set up a timing loop as normal, approximately 2-3 metres after the start line. You want to make sure that if you hold a loop checker on the start line, it is not lit up – you don’t want racers times to be recorded while they are still in the start gate, only after they have tripped the start wand. Then, connect the start gate to the other port on the activator using the freeze time cable. 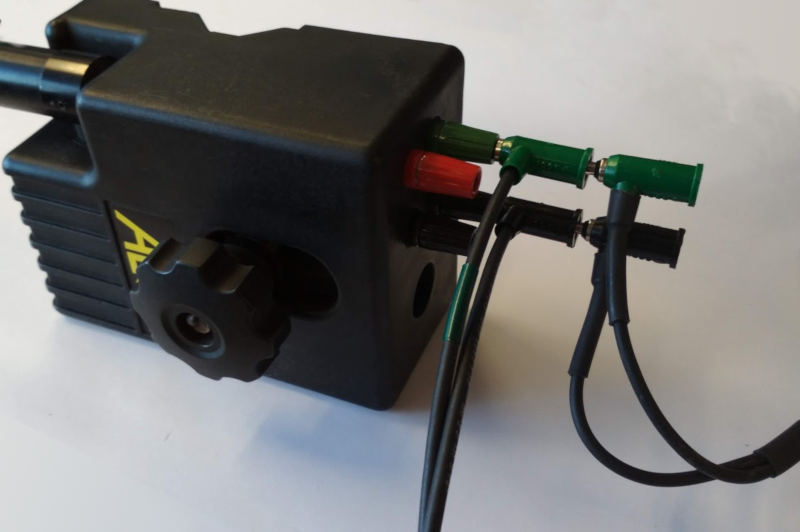 Our freeze time cables have banana plugs for connecting in to a standard FIS start gate. A freeze time cable. The green and black banana plugs connect to a start gate. A freeze time cable (white connector) and timing loop (black connector) connected to the same activator. All freeze time cables have a white connector so you can easily distinguish them. 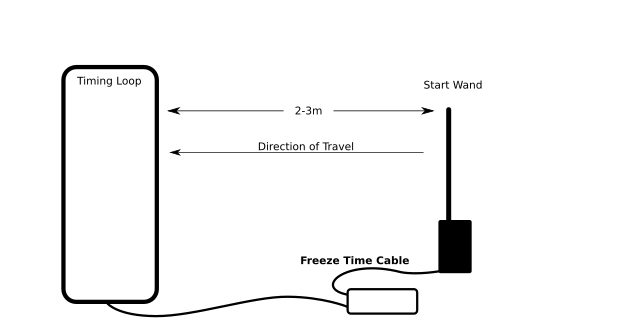 The freeze time cable connected to a start gate. Banana plugs can be chained together as pictured, to allow connecting a primary and backup device to the same start gate. What Android Phone devices work with GoChip?